Homepage. 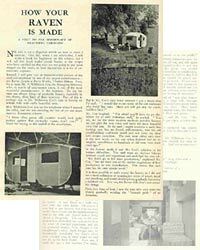 This page: Interesting oddities relating to caravanning. There are still unrestored caravans out there..
NEW: Les sent this pic - can anyone id this 'van? 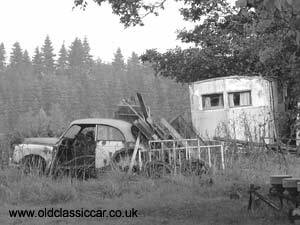 In this little corner of oldclassiccar, part of the vintage caravanning section, I'll feature interesting snippets that relate to owning and towing caravans in the 1930s, 1940s and 1950s. 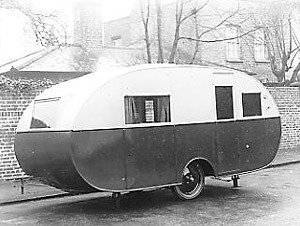 Caravanning was still a fairly unusual pastime in the pre- and post-war years, with interest in towing a mobile holiday home behind your car, taking off big time in the 50s. Magazines such as Practical Motorist even ran articles that talked the reader through designs for building their own caravan - for every successful build, there must have been countless half-built, lop-sided caravan-shaped constructions left to languish in their owner's garage. 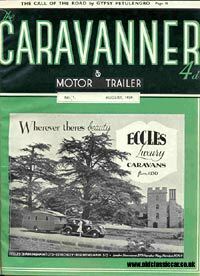 Prior to the war, motorcaravanning was the preserve of the reasonably well off (even owning a car was a sign of comfortable living, let along investing in a 'van to attach on the back), and information on pre-war tourers is fairly thin on the ground now. 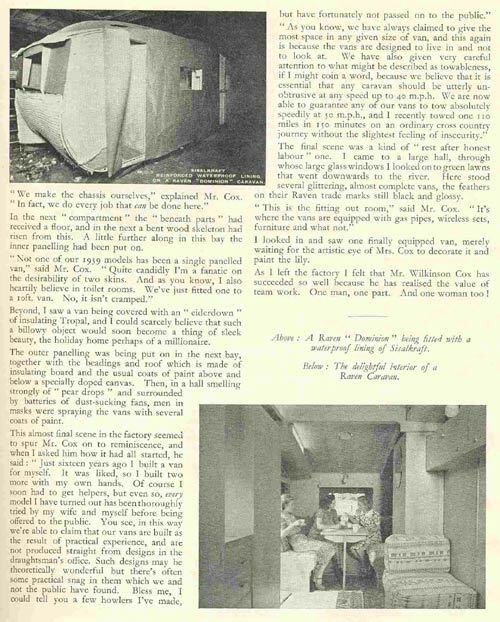 George kindly scanned some snippets & advertisements from a small collection of pre-war magazines he purchased, and I've featured them below. 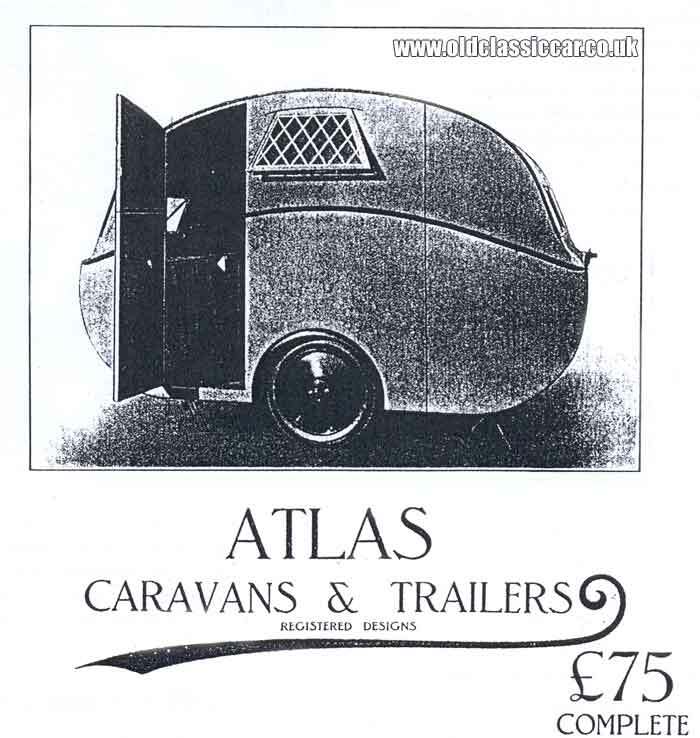 As things come to light, I hope to feature more great old adverts from manufacturers of caravans, that have been long since consigned to the history books. Click on any of the following links to see larger pictures. 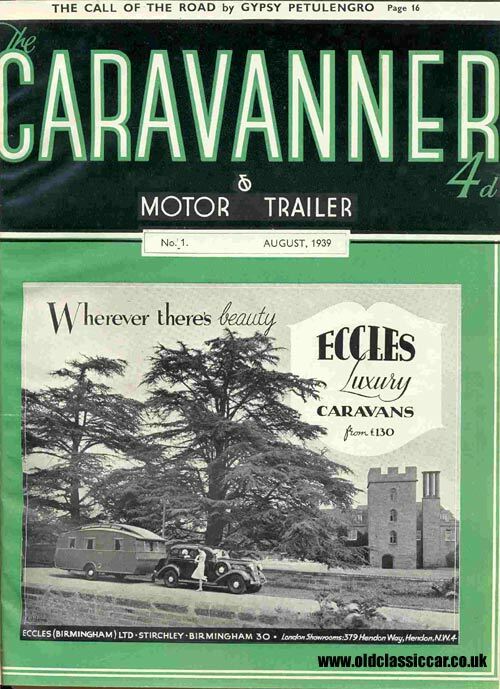 Snippets about caravanning in byegone days..
Cover of the first issue of Caravanner & Motor Trailer magazine from 1939, with an ad for Eccles Luxury caravans on the cover. 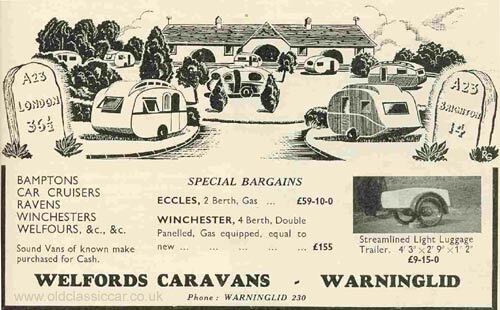 A lovely pre-war advertisement for Bamptons, Car Cruisers, Ravens, Winchesters and Welfours available at Welfords Caravans. 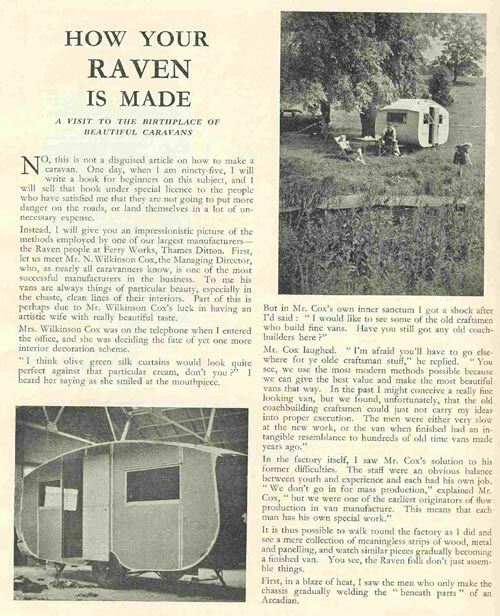 A two page article about the factory that built Raven caravans in the late 1930s. How's this for a beauty!!!! do any Atlas caravans survive still ? 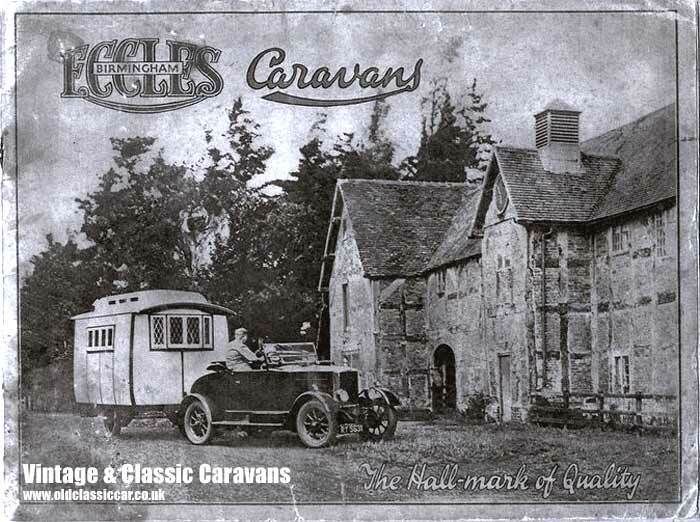 Scan of the cover from a 1920s era Eccles caravan catalogue, showing a 'van behind a large touring car - perhaps a flat rad Morris? Shown below are three old caravanning rally plaques, all issued by the Caravan Club to members who attended various caravan rallies in the 1950s and 1960s. The first pair are made from a thin plastic. The first shows a rally held in Blackpool by the Lancashire group in the C.C., called the Invitation Rally, held in September 1963. The plaque features Blackpool tower, and the holes in each corner show that these were designed to be mounted inside the owner's caravan, collecting them as more events were attended. The second plastic rally plaque was for a gathering held in Wallasey, by the Cheshire & North Wales branch of the C.C. This was at Easter Time, 1957. They measure just over 1.5" x 1.5" square. Some years ago I bought a large board covered in these rally plaques, many were faded, but some, such as these, were in good condition. When I find more, I'll add them in here. 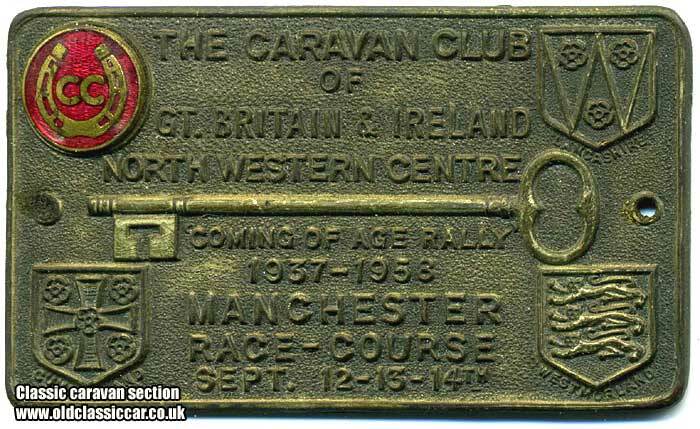 One noticeably better quality rally plaque is the final one for now, a metal plaque issued again by the Caravan Club of Gt. Britain and Ireland in September 1958, at the club's Coming of Age rally. This was the club's 21st year therefore, it having been in existence from 1937 through to 1958, as celebrated at this three day event held at Manchester Race Course. Does anyone have any photos of caravans at these early rallies? 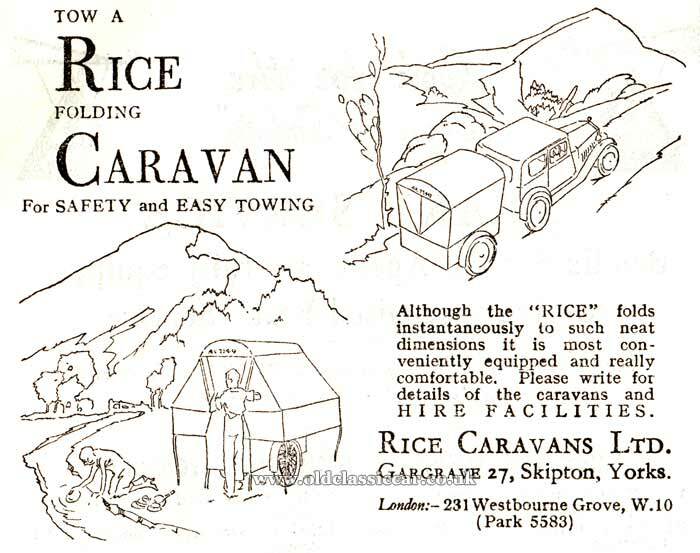 Rice is perhaps better known now for producing car and horse trailers, but at one time they could supply the outdoors enthusiast with their own lightweight, folding, caravan, as this advertisement from 1935 demonstrates. Are there any left? Of course if your car wasn't too weathertight, then parking in a field for days on end wouldn't do it too many favours. The Jagrose car tent, designed to keep campers and their car cosy and dry, was one alternative to the folding caravan: the Jagrose Motor Tent.